Sarens has launched its largest crane to date, the 5,000t maximum capacity SGC-250, also known as Big Carl. Sotiris Kanaris was there. Around 400 people attended the event, which took place near Ghent, Belgium, and had the chance to have a closer at the new member of the Sarens Giant Crane (SGC) family. 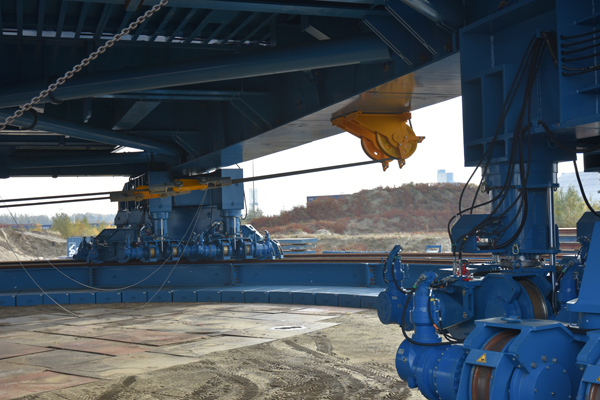 The ring-based heavy lifting crane has a maximum load moment of 250,000tm. It has all the features and flexibility of a fully-mobile ring crane with winches and cables, hook blocks, and the ability to slew 360°. The SGC-250 has 5,200t of counterweight and 128 wheels. The crane's main boom can be extended from 118m to 160m, and the jib can be extended up to 100m. This combination provides a height of about 250m, or a radius of 275m. “This flexibility guarantees that whatever combination clients need, we can build it: all on a double-ring design with an outer diameter of no more than 48.5m,” said the company. The crane can operate on two hook blocks: one on the main boom and one on the jib. This allows it to cover each area of the job site while maintaining a combination of strong capacities and fast operations. Sarens emphasized on the low ground pressure of this crane. Even at a greater radius, the SGC-250 never exceeds ground pressures of 25t/m², thanks to several wheel bogies on double ring beams and spreader mats. 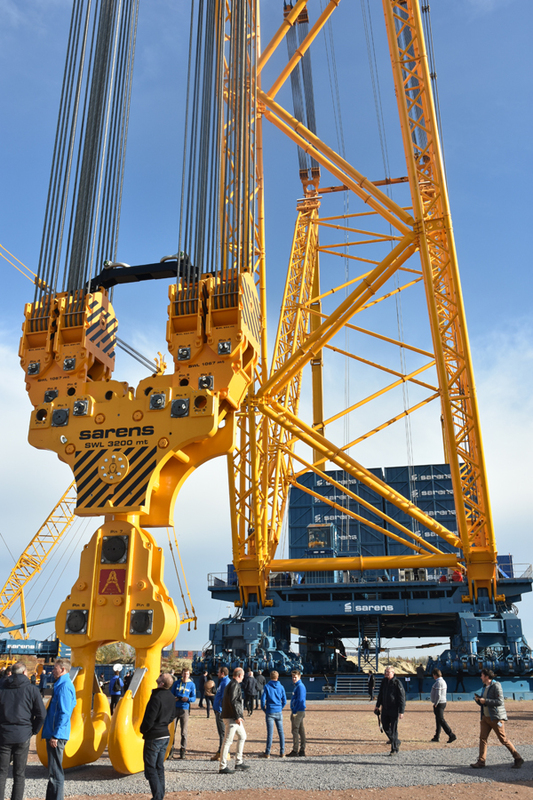 The heavy lift specialist has invested tremendous effort in the crane's safety and continuity. “This reflects in the highest performance level (PL E) and full redundancy system on the hoisting and slewing system, achieved by intelligently connecting and steering all 12 engines with six power packs,” the company said. Carl Sarens, director technical solutions, projects and engineering and Line Rigo, RDTS manager, global technical solutions said this crane was inspired by the increasing trend towards modularisation and the move away from stick-built construction. “Instead of putting a refinery together piece by piece, our clients now prefer to pre-assemble large portions, or modules, in a controlled environment and then transport and lift them into their final position. Because of their weight, these modules require higher lifting capacities. This trend, together with our in-house engineering expertise, led to the construction of this enormous crane,” said Carl Sarens. The SGC-250 crane will soon be shipped to the UK for the construction of the Hinkley Point C nuclear power plant. It is expected to stay there for about four years. Sarens said that this crane is far from bound to the nuclear sector, outlining some other applications including: bridge installations, petrochemical plants, module yards, shipyards and civil works. Other members of the SGC family are: the 1,200 SGC-90, the 3,200t SGC-120 and the 3,200t SGC-140.